On December 28, I decided to run home from work. 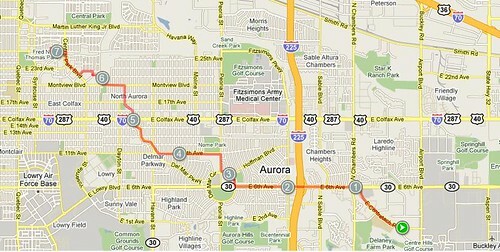 It’s about 7.3 miles, the route I took. For several miles over the course of this run, I went through not so nice areas. It was a little sketchy since the sun was setting and the sidewalks were quite icy. I believe I ran faster than I normally would, because I made it home in 57 minutes, which is a very fast pace (for me)! We decided to take a tour of the Celestial Seasonings factory, in Boulder, CO. The factory was “quiet” due to the employees taking the day off for the holidays. The tour was still neat, even though the factory line wasn’t moving. My favorite is still the mint room, I love the powerful aroma of mint! After the tour, my Mom & Ben went to see a movie while the rest of us went bowling. Dennis is a really good bowler, twice he achieved a 300, and he has the rings to prove it! 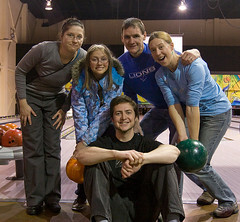 In any event, he took to coaching Meera, Emma, Jon, and I. We bowled two games, with fairly pitiful scores. I was just happy when the cosmic bowling ended midway through game 1, and I could finally see the lane properly! So, bowling was a fun way to spend the evening and get out of the house. 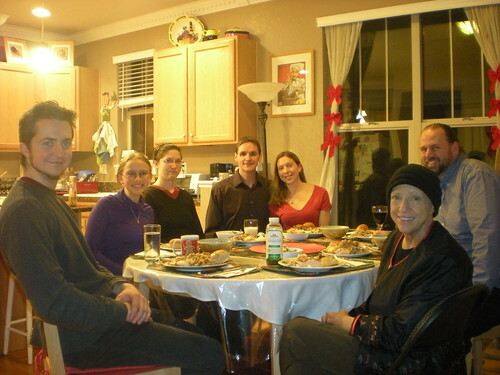 Jon, Emma, Meera, Dennis & Clare, Mom & Ben. 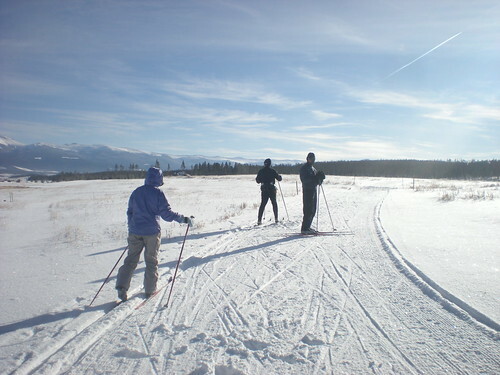 We went Cross Country Skiing at Snow Mountain Ranch, CO. 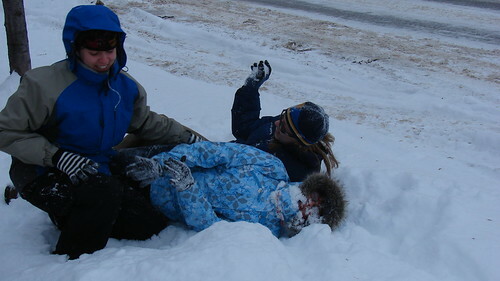 This was going to be Emma’s 2nd time on skis and Dennis’ 3rd. I was more than excited to get out for the day. 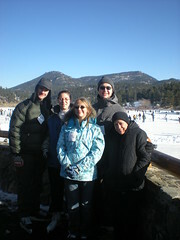 You are currently browsing the climbergirl blog blog archives for December, 2009.